Friendless and loveless, young and aimless, Lucien (Lucy) Minor is the resident odd duck in his bucolic hamlet of Bury, a weakling and compulsive liar in a town famous for producing brutish giants. When Lucy finds employment—as Undermajordomo, assisting the Majordomo of a remote, foreboding castle—he soon discovers the place harbors many dark secrets, not least of which is the whereabouts of the castle’s master, Baron Von Aux. Along the way, he encounters thieves, madmen, aristocrats, and Klara, a delicate beauty for whose love he must compete. Thus begins a tale of theft, heartbreak, mystery, and cold-blooded murder in which every aspect of humanity is laid bare for our hero to observe. 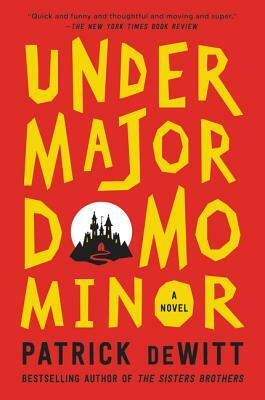 Undermajordomo Minor is an adventure story, a fable without a moral, an ink-black comedy of manners, and a love story—and Lucy must be careful, for love is a violent thing.